A photo, each day, of someone, sometime, or someplace I’d rather be. 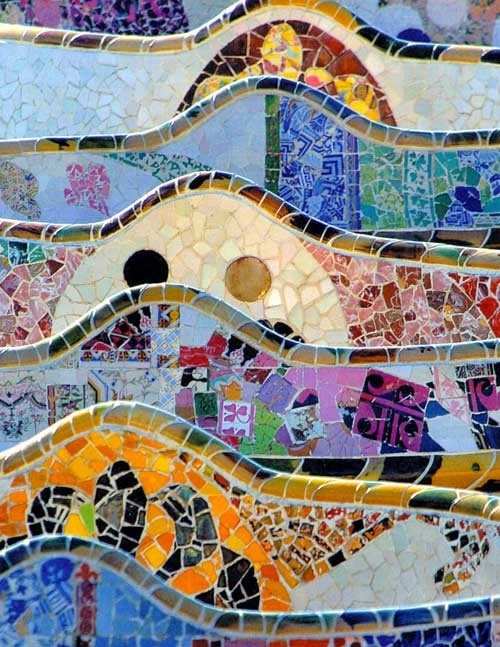 Park Güell, via Write Design Online. Spanish people don’t like spicy things. I can’t tell you how many times I’d be told at a restaurant in Spain that something was REALLY spicy, that I really needed to prepare myself, only to be underwhelmed. I myself have a low tolerance for spice, but I was always shocked by how easily Spanish people would literally break a sweat over a choice piece of chorizo (which in all fairness can pack a bit of a punch) that didn’t faze my tastebuds a bit. 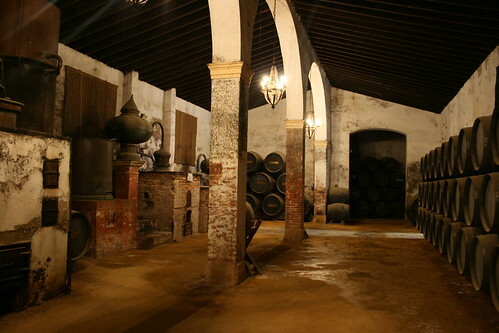 One exception is the padrón pepper from Galicia. Or should I say, one in every five or so padrón peppers. They are not all spicy; the milder ones are the best, delicious, grassy-tasting little pods that have been vigorously sauteed in olive oil and sprinkled with salt. But eating these things is a bit like playing Russian roulette…somewhere in the mountainous little pepper pile you just ordered there are a few evil ones just bursting with capsaicin. But it’s worth the risk, especially when even the evil ones are delicious. Padrón peppers are delightfully available in the States (or at least in California) in summer and early fall, and are even more delightfully easy to cook. Heat some olive oil in a pan until shimmering, then add whole peppers and cook until the skin is blistering and browned. Remove from the pan and sprinkle with sea salt. And voilà! A quick, authentic tapas dish you can easily recreate in your own home. Just watch out for those hot ones. If you don’t trust my instructions and need a slightly more complete recipe, see here, or take it up a notch with some jamón and ajo here. And if they don’t have any peppers in your area, you can always drop some serious cash on a pound or so from La Tienda. If you like pretty things, or DIY projects, or good design or delicious food and you don’t know about DesignSponge, well, you really should. It’s a great little website filled with all kinds of projects, before and afters, recipes, and lots of other cool stuff. They also have a regular feature where different authors contribute travel guides to their home cities, in the US and abroad. Usually these fall a little flat for me because even though I know the content is probably pretty good, there are very few pictures to go along with the recommendations, and the lists are so long that I get discouraged by the thought of having to more thoroughly research each and every rec. A lame reason, I know. But today they released a Barcelona guide by Judy Kaufmann, an illustrator who calls the city home, and I must say I really like it! I’ve stayed in both of the hotels she recommends (Inside BCN is in fact wonderful!!) and shopped and dined at many of her other suggested locations, so I can officially give this one two thumbs up! A definite good addition to any travel planning you may be doing for a visit to the most wonderful little city in the mundo. Click on the photo to be linked directly to the guide. 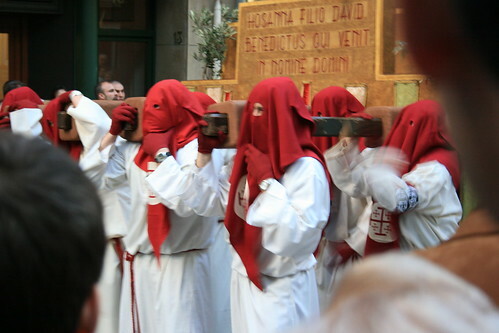 Semana Santa, Pamplona, originally uploaded by jhoolko. Gonzalez-Byass, originally uploaded by jhoolko. ¡Feliz día de los Reyes Magos! Today, or maybe yesterday at this point, was the day that many children in Spain have eagerly been awaiting all winter. The day of the three wise men, as it’s literally translated, is known to many as Epiphany in English. It’s the day when Spanish children traditionally receive their gifts, though now many families do gifts on Christmas and Epiphany. Biblically speaking, the day celebrates the visitation of the Magi (also known as the three kings) to the baby Jesus, symbolizing the revelation of Christ’s god/man powers to the gentiles. 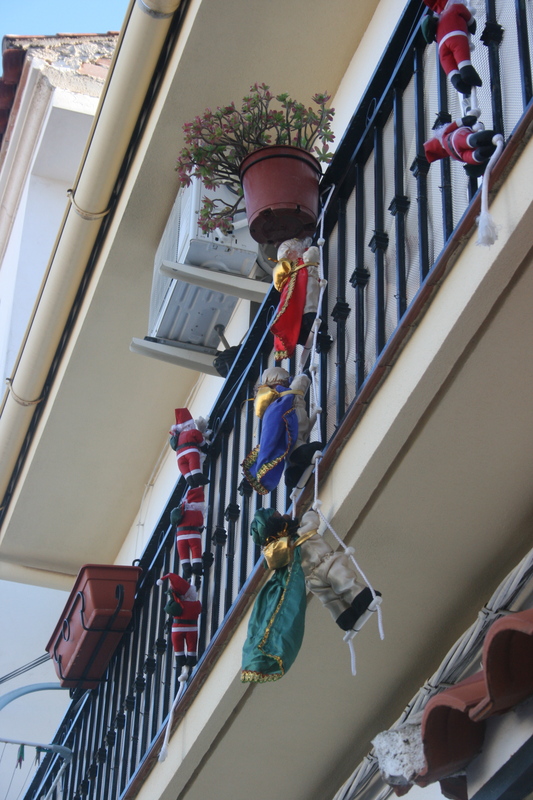 Those three characters climbing the rope in between the multiple Santa Clauses in the above picture (taken in La Puerta de Segura) are said Magi, and people had those things up all over Spain! Instead of Santa leaving presents under the tree, I am pretty sure the wise men break into peoples’ houses somehow and leave gifts under their shoes in exchange for hay/sweet wine/other goodies. Kinda like St. Nicholas day in the U.S., for those of you who were raised Catholic here, but better. Puentes (bridges in English) are one of those Spanish practices that I was always jealous of and one that spoke to the Spanish propensity towards working to live and not living to work. Basically any time a national or bank holiday fell midweek, workers and schoolchildren would get not only that day off, but they’d also get a little “bridge” vacation, meaning the days in between the holiday and the weekend were also non-work days. Kind of like the way we treat Thanksgiving and the following Friday, except they do it for every holiday that falls on a non-Monday or Friday weekday. It was awesome for me as a worker, but probably not the best thing for national productivity. But now, considering Spain’s looming debt crisis and their newly elected PM Mariano Rajoy, it looks like some of that Spanish joie de vivre might be sacrificed to help get the economy back on its feet. Link.